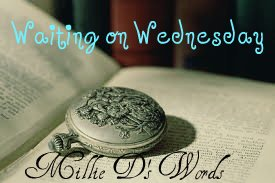 Waiting on Wednesday is a weekly meme hosted by Jill at Breaking the Spine where bloggers like me can gush about what makes their hands all grabby. I know this is probably making a certain someone very happy and possibly squee-ish (Ahem. Monica...) but I've actually found myself wrapped up in the story. I think it's interesting and I wanna know what's going on between Adrian and Sydney! Yes! I want to know! And having that I have to wait until February 12th, this is how it ended up on this week's WoW post. Wait are all you of you guys waiting on this week? I've not read any of these, but I've heard good things. YES YES YES!! 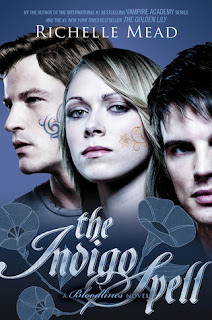 SYDRIAN FOR THE WIN! I think that's my one and only OTP. :D :D :D AWESOME CHOICE! ACK I need to pick up Bloodlines, and Vampire Academy for that matter. EVERYONE gushes about this series, so I totally need to start this series! I have both the first book of VA and Bloodlines sitting on my shelf, I bought them in an attempt to get myself to read them, which has not been successful. But hopefully I will pick up both books during Thanksgiving Break!